I am flummoxed a bit. No, not because Narendra Modi won yet again with a thumping majority but because; when the talking point of the day should have been his spectacular win against all odds it turned out that whole of our main stream media was more interested for his future priministrial prospect. No media house, not one of them even discussed how important the win is for the state of Gujarat and the development that is attached thereof. Neither had I found any discussion on the anti-incumbency factor that never appeared to be there with Modi. No discussions on the reasons why Modi could manage to achieve such high numbers either. Nothing on the minorities and their involvement in the mainstream post this massive mandate. 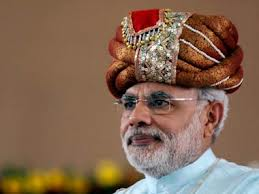 All that whole of India seems interested to know, or so as it is projected by our media is if and when BJP going to project Modi as their PM candidate for 2014 general elections. This I feel is entirely superfluous, at least at this point and I have reasons to say so. First thing, we are good two years away from the next general elections, provided Mulayam and Mayawati have some different ideas. And it is no secret that our prevailing political semantics doesn’t look too favorable for a single party to have the numbers to form the government of their own. Neither Congress nor BJP can reach the number, which I am damn confident about; more so when we see regional parties are making a substantial mark on the national politics and eating into votes of both the national parties at an alarming rate. Whether we like it or not, coalition is the norm going forward. And as per Manmohan Sing’s favorite excuse for every incompetency; the so called coalition Dharma necessitates prostration before each of the ally for sustaining relationship. So any coalition that wishes to float a prospective PM candidate’s name, it has to come from mutual covenant. We may not want to read this but Modi being projected as the next priministrial candidate of NDA would evoke demurrals from the core NDA constituents. Nitish Kumar could be one such guy who may not favour Modi leading the war, come 2014. But that is none of our botherations as voters. This is certainly an internal matter of BJP and its allies to sort-out in between and we are not getting into that debate. So when so much complexity that exists in coming up with a name, asking BJP members, each time one comes for debate, about their views on Modi and his route to Delhi is not only juvenile but grossly out of place. What our media people want to hear for an answer? Or is it that they believe, given a chance BJP would look any farther than Modi for the post? Or if they don’t relentlessly echo on this question BJP might just forget to name one? Even if one argues, it is something the nation must know; do you feel there is anything to debate whether Modi fits the bill for the PM’s chair or not? Simple have/haven’t listing of the qualities one aspires to see in the PM of the nation would tell if Modi falls inline or irate away. A person who has proven his credentials as a strong administrator beyond any doubt, for sure makes the cut as the prospective PM, as far as delivery is concerned. Not for a year or two but for close to a decade he has delivered on the promised lines. And for this to assert you don’t require media debates but just one hour drive on the highways that cuts through the state. If you ask about vision, I don’t see anyone in the contemporary politics having more than what Modi has. No, not even Nitish Kumar, if you ask. The idea behind the cleaning up task of Sabarmati River on war footnotes is one such example of vision put into reality. Now people of Ahmedabad not only have a river front but also, the real estate in and around the riverbed have gone up considerably. Planning to setup committees to interact with the farmers at the grassroots directly and educating them on better means and methods of production growth is vision for you. Cutting down on government sponsored free goodies like free electricity, water and may such but yet making the end users capable enough to withstand the no free goods era successfully is vision for you. If harping on the religious harmony in the society is your cup of tea, it should be clear that there isn’t anything untoward that happened post the horrific 2002 episode. If the accusations are there on Modi for 2002 riots shouldn’t there be accolades as well for ensuring harmonious environment since then? More so when one knows how volatile and sensitive the state is. In all of this the Congress response to Modi’s future prospects is funny to say the least. For them Modi is still a regional leader who can’t make it to the North Block. I would have agreed to this bizarre claim hadn’t I got the opportunity to know about the candidate Congress may and will project as their PM candidate for 2014. For them a certain Rahul Gandhi, who is yet to chair any kind of responsible post looks far way eligible than Narendra Modi. Modi’s hatrick is not good enough of a yardstick to judge his leadership but someone else barely managing to win seats under double digits and that too after virtually camping in the state for three years is. How? Modi being hailed as a successful CM, worldwide is not enough a parameter of his brilliant managerial skills but someone fearful of assuming even a junior minister’s post is more accomplished than the pro. Someone like Modi who has made his way to the top from scratch through thick and thins doesn’t seem to carry enough rational for the top job but the other who has got nothing but a surname to showcase as achievement does. I mean, one can go on differentiating till eternity. Honestly; if at all we want a debate on this, can’t we have some rational infused into it to start with? The most annoying that I find in this whole debate of Modi as PM is the idea going against the ethos of democracy. Since when democracy has allowed a bunch of self-righteous individuals to sit in the comfort of A/C rooms and decide who should lead the nation in coming years? Shouldn’t the people of India decide whom they want as their leader going forward? Can we for once give our intellectualism some much deserved rest and let the lesser mortals decide the best for them through ballots? Vested interest, unsolicited agendas, slavery can wait in the bigger interest of the nation. Can’t it? So whenever I see a debate going around on Modi and he being touted as a prospective candidate running for the post of PM in 2014, I just laugh to the core. Laugh at it, not because I find it funny but because I find it ruthlessly irritating. Be it for or against Modi or for that matter even Rahul Gandhi, can’t we just wait till 2014 to come and let the people of the nation have their say than we intellectuals burning midnight oil in showcasing our fractured intellectualism and sycophancy in the form of cerebral stupidity? Modi will be hanged at Godhra Jail and buried inside on 1Oct2014 for his organized crime against humanity. Modi the only CM begging US visa. Modi the only CM barred from entering USA. Why are we, as a nation, transfixed on “who” will become the next PM? being created by the media. They have their TRPs to manage, at any cost. the debate of which party has what to say as part of their manifesto? think about their priorities and then come up with concrete suggestions. the media to initiate a more meaningful discussion.